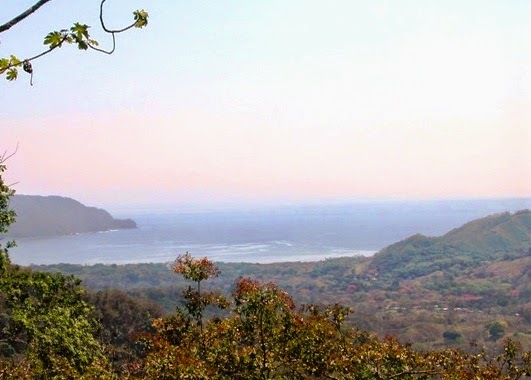 The subject property was unimproved, mountainous, ocean view land of about 160 acres, located on the Nicoya Peninsula. It has no utilities, paved road access or development entitlements. A decade ago, ocean view land parcels were trading at much higher prices because of their value to real estate developers, as each had dreams of building luxury vacation or retirement communities for wealthy foreigners. This same situation prevailed throughout Mexico and the Caribbean, too. The only problem with this vision is that Costa Rica, owing to its topography and coastlines, has tens of thousands of square miles of land with ocean views, and there aren’t enough homebuyers to take up all the possible lots, particularly when having to compete with many other tropical paradise nations. Partially completed subdivisions ended up competing with other partially completed subdivisions when the market went into decline in 2007, and other projects never moved forward due to the difficulty in receiving all the necessary permits. Last time I was in Puntarenas, in 2012, it seemed that every ocean view parcel of land was for sale and nothing was selling. Little has changed since then, except that asking prices are slightly lower now. Many landowners can’t reduce their prices any more and pay back the debt they’ve taken on. A broker was able to supply one closed sale occurring at a price at only one third of the asking prices of nearby parcels, but no large development parcels have been acquired since 2007. There are enough land parcels with development entitlements or paved road access or utilities that unimproved land like the subject has little chance in competing for buyers, except at highly discounted prices. I just got back from Jaco, Costa Rica. I saw a few high-rise residential developments that had been abandoned. Several unfinished subdivisions like you mention. I was surprised at the raw land prices being around $50,000-$60,000/acre. That seems expensive for comparable land in the USA. As you say, there is basically an unlimited supply of land with ocean views. It would seem that land with ocean frontage would go first, even with the required 250-500 foot required setback. I found CR to be a 3rd world country with a lot of basic items more expensive than in the USA - e.g. $5-$6 for a gallon of milk...same for a box of cereal....gas is around that per gallon. And cars are way higher priced than in the USA. I guess I don't see the charm down there. We have better views in the USA and cheaper living. But, hey a new casino is opening in Jaco - there's always room for another casino to take the money of the gringos and ticas. Asking prices for land remain high due to the inertia of the land boom several years ago. Many expatriates in CR find that the U.S. lifestyle is more expensive in CR than in the U.S., with electricity and automobile costs being much higher (considering how much air conditioning is needed at lower elevations). Those expatriates that learn to live like Ticos are the ones who can afford to retire down there.